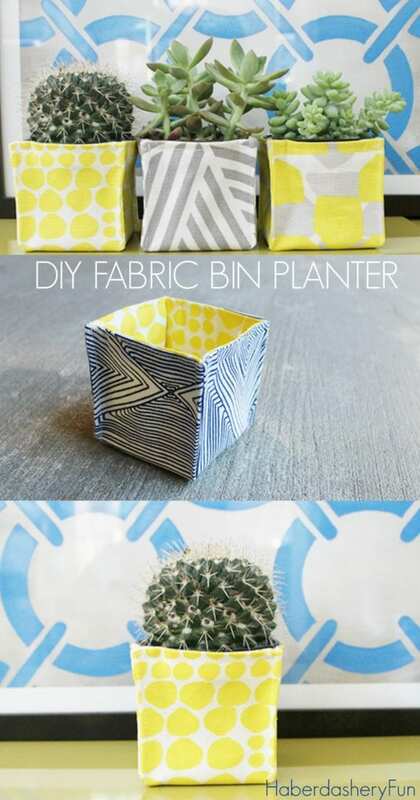 Here's a tutorial on how to make fabric bin planters to hold your mini plants like your favorite cactus. You can give them away as gifts, too. Perfect, right? Take a look at this Felt Cactus‘ FREE Pattern and Tutorial, too!